Taste Ramadan - what can I say? WOW! Words can’t explain how amazing and powerful such a get together was and we are highly appreciative for all those who attended. 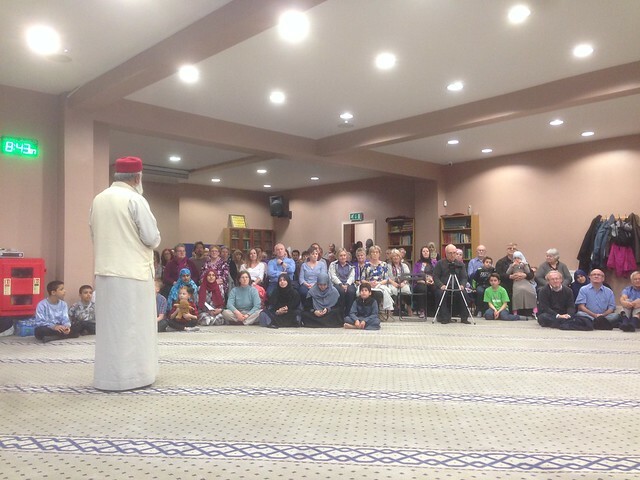 It was no doubt the best wider community gathering we have probably had in the history this mosque. It was a beautiful feeling to see around 150 guests and then the 150 in addition from the Muslim community. From the Muslim community perspective, all you wonderful guests could not have been hand picked any better! We don’t want it to end there, we want to continue being more comfortable to keep our doors open with your support. Your attendance and reassurance for the Muslim community were invaluable. Last night was surely a starting point and all present feel that justice could not be done in two hours as we have so much to share and celebrate. There is no doubt in this blessed month of Ramadan amazing things happen. We want to continue with the 8.30pm-10.30pm for the rest the remaining 13 or so days of Ramadan. Kindly register your interest and we shall allocate you evenings for smaller groups. If anyone has any archive footage videos or pictures kindly do email them to us. Here is our footage for your enjoyment. We would like you to write to us with your feedback. Kindly complete this form while the memories are fresh, thank you. Finally, as you can see we try to be a very inclusive mosque trying to be in service of everyone, dealing with people of all backgrounds and cultures. No doubt there are shortfalls and we hope with your continued patience, humility and cooporation we can raise the bar. We look forward to your responses and seeing you again very soon. Keep updated with similar local events via visitmymosque.co.uk.